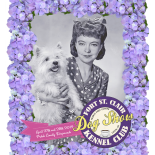 Here is the Premium List and Entry form for the May 2019 Fast Cat Tests at Fort St. Clair Kennel Club. There are four tests, with a limit of 100 dogs for each test. We will only take Day of Trial entries if the trial has not already filled with pre-entries. Just click on the link below and the file will open for you. You are welcome to contact us to see how close we are to filling, or if you have any questions. Do you have the premium for the May 1st CAT posted yet. I only see the one for last year. Am I missing it somewhere? The PL and entry form for the CAT are now posted, you can find them on the menu on the left hand side of the website. When will you post your May 1, 2016 Coursing Ability Test premium list? The AKC website said that the opening date was February 1st. Thanks! The Premium List and entry blanks for the Coursing Ability Test are now live– you can find them in the menu on the left hand side of the website. I am still waiting for the May 1, 2016 CAT premium and entry form. When will this come out. I am not on facebook. Will it be on the website? The PL and entry form are now live– you can find them on the menu on the left hand side of the webpage. How many runs can each dog run at the trial? I see there are 2 courses so does that mean they can run 2 runs? I am only seeing one event number on the entry form, I’m confused as well why the premium says “two tests”? There are two “courses” per event, a 300 yard course for small dogs & flat-faced dogs and a 600 yard course for large dogs. That would mean dogs still only get to run once, 300 yards or 600 yards, depending on their size. That’s not two separate tests though, since it’s all under the same event number. We are awaiting confirmation of the second event number. We applied for and were granted permission for two separate test events– and we anticipate that the second event number will be 2016496104. But we want to double check to make sure. Yes, we plan to run two tests for each size and we believe that the second event number will be 2016496104, but we are awaiting confirmation from the AKC. We hope to have that by tomorrow– and we will post. Hear anything from AKC yet? Was the club approved for the second test? Who do I make the check out to for my pre-entries? Yes, we were just approved! Hooray! You can make the check out to FSCKC. We have revised the entry blank, or if you’ve already printed it out, just add the event number for the second test– 2016496104. Thanks for your patience! Where can I find the one for the Fall CAT? Do you have premium lists for the fast cat on Oct 8th & 9th? I haven’t seen any. Is the Fast CAT full?? Are you having a FAST CAT Sept.30 – Oct. 1, 2017? Could you send me a link to the premium if you are, please? Yes, we are having a Fast CAT on those dates. Premium List will be posted on this site sometime today. It’s right here on this page. Is the Fast Cat Trial still Open and if so, how close to closing? The Fast Cats are both now full. There is a Fast Cat being held the same weekend in Shelby, Ohio under the auspices of Lorain County Kennel Club that may still be open. As soon as the trial is closed the secretary will send an email to all who got in under the wire. We’ve had a number of requests for earlier confirmations and we will see if we might be able to do that at our next Fast Cats in October.